Bitcoin is the original cryptocurrency released in 2009 as open-source software. It is a digital currency predicated on cryptographically secure transactions, a proof-of-work consensus model, and a decentralized, P2P distributed ledger network. Bitcoin’s distributed ledger is the first blockchain — a shared and distributed timestamped ledger of data blocks connected through a chain of cryptographic hashes — and solved the double spend problem that had plagued previous iterations of digital currencies. Bitcoin is a decentralized medium of exchange, high-value settlement layer, and store of value that exists outside of the traditional financial system. The network is entirely P2P, and there are no intermediaries or centralized control. Proponents of Bitcoin view it as the first truly “free” money from centralized control and the proliferation of its network’s hash power, and general network effects have solidified its position as a sovereign-proof medium of value exchange. Since its inception, Bitcoin has fueled the growth of an entire industry of cryptocurrencies. Many of these currencies are forks of the Bitcoin protocol while others have developed into full Turing-complete smart contracts platforms. Bitcoin’s narrative has evolved throughout its lifetime and has been subject to polarizing debates and contentious network protocol decisions. Despite the wild west like atmosphere within the broader cryptocurrency industry and often polarizing nature of the communities, Bitcoin has emphatically remained resilient. With a decade of experience under its belt, the legacy cryptocurrency has shown a penchant for conservative change that has led to remarkable stability, decentralization, and transparency in spite of the criticisms it has faced over the course of its existence. Bitcoin has emerged as an exceptional technological feat, and its future implications along with the growing industry it sparked are profound. Read on as we attempt to answer the question “What is Bitcoin?” and provide the most complete guide for beginners. Bitcoin was released by a person or group of people using the pseudonym Satoshi Nakamoto on October 31, 2008, to the Cypherpunk mailing list as a white paper titled “Bitcoin: A Peer-to-Peer Electronic Cash System.” The identity of Satoshi Nakamoto is still unknown, despite numerous attempts by people to claim the identity of the obscure Bitcoin creator. The message was a headline pulled from the British newspaper The Times following the Global Financial Crisis of 2008 where banks were bailed out by their respective governments (i.e., the U.S. and UK) after being a leading cause of the crisis themselves. The comment is derived from the instability of the fractional-reserve banking system in general. The headline symbolizes the widely accepted concept behind Bitcoin, an immutable, uncensorable, and decentralized medium of value exchange free of the endemic problems within traditional financial systems and governments. Satoshi Nakamoto was active on email threads, community forums, and the open-source Bitcoin repo for a little more than a year after initially releasing the white paper and went dark in December 2010. The Nakamoto Institute provides a comprehensive compilation of emails, forum posts, code updates, and other interactions that people had with Satoshi Nakamoto. If you’re looking to further your understanding of Satoshi’s vision, that is an excellent place to begin. Following Satoshi’s disappearance, the lead development of Bitcoin’s protocol was handed over to a group of developers. Notably, Gavin Andresen was a lead core developer and created the Bitcoin Foundation in 2012 to support the development of the network. Over the years, Bitcoin has experienced innumerable contributions from the open-source community and members of the core development team. Currently, Wladimir J. van der Laan leads the release process, and the MIT Digital Currency Initiative funds some of Bitcoin’s development. Bitcoin’s adoption has been slow and methodical. In 2011, WikiLeaks began using Bitcoin following a lack of options for receiving other currencies stemming from pressure by the U.S. government on payment processors and other financial entities. Satoshi Nakamoto was against the notion of WikiLeaks using Bitcoin as it would draw unwanted attention from governments to a network that was still in its nascent stages and susceptible to attack. Throughout 2012 and 2013 Bitcoin saw adoption by BitPay — the Bitcoin payment processor — and WordPress as use for payment for the service. Bitcoin had its first major bear market in 2012, declining by more than 40 percent to around $4 per BTC. The year 2013 was eventful for Bitcoin as popular exchange Coinbase started gaining traction at the time, after being founded in 2012. Notable events in 2013 included China banning financial institutions from using Bitcoin, the FBI seizing approximately 26,000 BTC from the Silk Road dark market, and the U.S. government starting to take notice of Bitcoin as it seized several accounts on the Mt. Gox exchange. Digital asset trading platform Shapeshift was also launched in 2013 by Erik Voorhees with funding from Roger Ver and Barry Silbert. 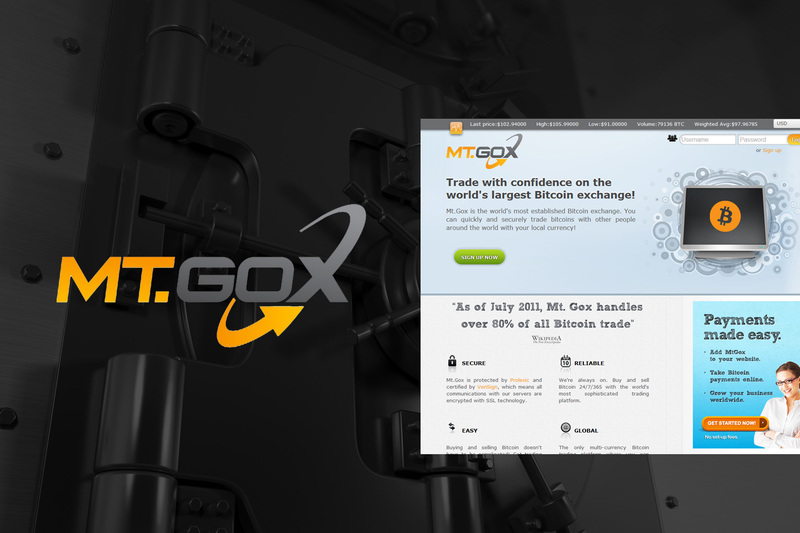 In February 2014, the largest Bitcoin exchange — Mt. Gox — shut down due to technical issues. Soon after, the exchange filed for bankruptcy following the loss of roughly 744,000 BTC that had been stolen in an extended hack. The hack compounded an already ongoing bear market that ended up lasting for more than a year — commonly known as Crypto Winter — with the price dropping 83 percent from its high of $1,149 to a low of $197. Coinbase raised $75 million in a funding round in 2015 which also contained consequential developments such as the launch of smart contracts platform Ethereum and the number of merchants accepting Bitcoin exceeding 100,000. Major cryptocurrency exchange Bitfinex was hacked in 2016 for nearly 120,000 BTC. Along with the Mt. Gox attack, the Bitfinex hack was indicative of a larger trend in hacking exchanges that continued into 2018 and is expected to surpass $1 billion in stolen funds this year alone. Bitcoin started gaining more traction among more mainstream users in 2016, with the popular game distribution platform Steam accepting Bitcoin payments and the network’s hash rate exceeding 1 exahash/sec. The events in 2017 launched Bitcoin into the mainstream and the broader cryptocurrency industry along with it. Bitcoin’s price surged towards the end of 2017 along with the broader markets fueled by massive speculation on ICOs launched on the Ethereum network. Bitcoin’s price peaked at roughly $20,000, and mainstream media coverage was rampant on price speculation. Bitcoin’s first major polarizing event also took place in August 2017, when Bitcoin Cash hard-forked the protocol to follow a different vision of Bitcoin than the original chain, predicated on increasing the block size as a mechanism for on-chain scaling. The surge in mainstream activity of Bitcoin led to a series of issues with a backed up mempool, high fees, and general frustration with using the network for payments. This highlighted Bitcoin’s scaling problem and led to the accelerated development of its second layer scaling solution, the Lightning Network (LN). At the protocol level, SegWit was also introduced in late 2017 as a method for helping increase the efficiency of digital signature storage within blocks and alleviate some of the scaling concerns. SegWit also set up the protocol for the planned transition from ECDSA digital signatures to Schnorr signatures. This year has had several significant and intriguing developments for Bitcoin. Despite the extended bear market and precipitous decline of Bitcoin’s price to roughly $4,300 at the time of this writing, vital developments at both the protocol layer and applications on top of it are becoming consistent. Moreover, the growth of the LN is gaining steam and services and applications built on top of it are helping foster greater adoption of Bitcoin as a bidirectional micropayments medium. As of today, a dual narrative of Bitcoin’s on-chain transactions as a large-value settlement layer and the layer two LN as the payments network using Bitcoin has emerged. Privacy-preserving solutions such as Dandelion, security and privacy-focused wallets like Samourai, and self-sovereign payment processing tools like BTCPay server have become vital tools for retaining the initial vision of Bitcoin as an uncensorable, private, and secure medium of value exchange. Bitcoin has an ample design space, and the future development on top of the core protocol could leverage Bitcoin as an immutable and secure settlement layer. Examples of services connected to the Bitcoin blockchain include Blockstream’s recently released Liquid Sidechain, an inter-exchange settlement network. Optimism may be fading in the markets, but these downturns are often touted as crucial periods of development of both the core community and underlying technology. Bitcoin has also seen widespread — in the purview of legacy finance — acceptance as at least an alternative financial asset. While statements from banks and financial executives mostly still miss the core concept of Bitcoin, the fact that it is accepted and pegged for listing on major financial platforms as an ETF is an enormous step in general awareness from its humble cypherpunk beginnings. Bitcoin is a permissionless, open-source cryptocurrency network maintained by a community of contributors via its BIP proposal system. The network is secured via a proof-of-work (PoW) consensus mechanism — known as Nakamoto Consensus –, is decentralized, cryptographically secured via the ECDSA digital signature scheme, and utilizes an unspent transaction output (UTXO) transaction scheme. Game theory mechanics also play a prominent role in the network, and its technical design is rolled into the larger dynamics of the incentive system. Analyzing Bitcoin’s technical design requires separating and evaluating the primary components of the network independently. Bitcoin employs an abstract transaction model optimized for security and linkability known as the unspent transaction output (UTXO) scheme. All transactions are chained together where bitcoins actually move from transaction to transaction in the form of inputs and outputs rather than to and from addresses. Bitcoin’s UTXO transaction scheme is also a method of Triple-Entry Bookkeeping. Transactions function as a chain of digital signatures. Bitcoin employs ECDSA as its digital signature. Owners transfer BTC to another owner via digitally signing the hash of a previous transaction along with the public key of the recipient and adding them to the end of the transaction. Recipients — as is inherent with cryptographic signatures — can trivially verify the validity of the chain of digital signatures used to send the BTC. Therefore, inputs of a Bitcoin transaction end up as outputs which are then spent as inputs in an ongoing process. Users effectively do not own actual BTC; instead, they own the right to spend to a specific number of outputs. Every transaction must prove that the sum of inputs is greater than the sum of outputs. Every referenced input must be valid and not spent yet. Transactions must contain the signature matching the owner of the input for every input. The UTXO model provides several direct benefits for Bitcoin. Concerning scalability, it is much simpler than an account-based model for a decentralized network. It enables the overall consensus mechanism to remain simple due to the linkability of inputs and outputs. Creates an interlocked system of accounting records that are immutably stored and timestamped every 10 minutes and is practically impossible to change. The UTXO model in Bitcoin also allows transactions to be processed in parallel since they refer to independent inputs. The mempool of Bitcoin are the transactions waiting to be confirmed on the network. Bitcoin only handles roughly 5 – 6 transactions per second (TPS) on-chain, so transactions that are not processed immediately reside in the mempool until they are picked up by miners and included into blocks. A backlogged mempool was a major problem at the height of the cryptocurrency frenzy towards the end of 2017 where it led to exceptionally high fees and slow confirmation times. Bitcoin also has a native, stripped down scripting language for implementing payment functionality. The proliferation of applications, sidechains, and other technical components with Bitcoin has led to an increase in the use of the scripting language for specific payment functionalities. Bitcoin is the original blockchain. Bitcoin’s blockchain is a series of cryptographically linked data blocks that contain the transaction data. A new block is mined by miners roughly every 10 minutes, and blocks are usually 1 – 1.5 MB in size that can hold upwards of 3,000 transactions at capacity. Transactions broadcast to the network are incorporated into blocks by miners in a process called Nakamoto PoW Consensus (outlined in the next section) which validates the transactions and secures them via computational work. The original block was the Genesis block mined by Satoshi Nakamoto and contained the text message within the coinbase transaction. The coinbase transaction is the first transaction in a block that is created by the miner and allows them to claim the block reward for mining the block as well as 100 bytes for arbitrary data. Transactions contained within blocks are continually hashed and paired in a binary hash tree known as a Merkle Tree until the root hash is reached, which represents all of the transactions in the block and is stored in the block header. Each block stores the root hash of the previous block, thus cryptographically linking all of the blocks, hence the name blockchain. The ledger of blocks is entirely public, transparent, and digitally timestamped. The root hash of the current block header represents the state of the entire Bitcoin blockchain, from the Genesis block up to the current block. Transactions within a block cannot be modified without modifying all of the transactions within that block as well as all of the following blocks due to the cryptographic linkage of the Merkle roots between blocks. This gives Bitcoin its immutability property. Full node clients store the entire blockchain locally and propagate transactions across the network. Further, they assist new nodes in catching up to the state of the Bitcoin blockchain and provide the necessary data for SPV nodes to function correctly. SPV nodes are light clients called (Simple Payment Verification) nodes and do not store the entire blockchain. Rather, they rely on full nodes to provide them with an accurate picture of the blockchain. An experimental version of a new light client protocol called Neutrino was recently proposed and is being developed by Lightning Labs. Nonce – 32-bit number starting at 0 that plays a vital role in mining. Naturally, in a decentralized P2P network of pseudonymous users, the inherent problem arises of how to ensure that the state of the blockchain is accurate. Overcoming this issue means ensuring, with extremely high probability, that the transactions included in mined blocks are not double spent. This is one of the major achievements of Bitcoin as it solved the double spend problem using a computationally intensive proof-of-work model called Nakamoto Consensus. Proof-of-work (PoW) consensus is what was proposed by Satoshi Nakamoto as a method to implement a distributed timestamped server (blockchain) on a P2P basis. Satoshi derived his PoW model from Adam Back’s Hashcash design which was used to mitigate email spam by requiring small computations. Bitcoin’s PoW consensus has come to be known as Nakamoto Consensus, and it solved the double spend problem. Achieving consensus in a decentralized network of nodes like Bitcoin requires a Byzantine Fault Tolerant (BFT) algorithm. Nodes are free to join and leave the network anonymously at will, so it needs to handle arbitrary behavior by malicious nodes. Previous iterations of BFT algorithms — such as pBFT — do not scale well and require a large communication overhead. Further, the round-robin format for selecting the leader node was not compatible with many of the goals of Bitcoin’s structural design. Satoshi built Bitcoin’s PoW consensus algorithm on the block leader selection method of a lottery-like system where miners compete to solve a computationally intensive puzzle. The winner of that round (~10 minutes) wins the block reward and then the round restarts. A value known as a nonce is incremented until a value is found that gives a block’s hash and begins with a number of zero bits. A work difficulty targeting an average of 6 blocks per hour is based on a moving average to ensure the timely mining of blocks while compensating for increasing hardware speed. The resulting PoW model relies on the security assumption that a significant amount of work was invested into mining a block. Also it assumes that the majority of nodes in the network are not compromised due to the massive incentive to NOT compromise the chain as well as general pBFT assumptions based on the probability of arbitrary node behavior. 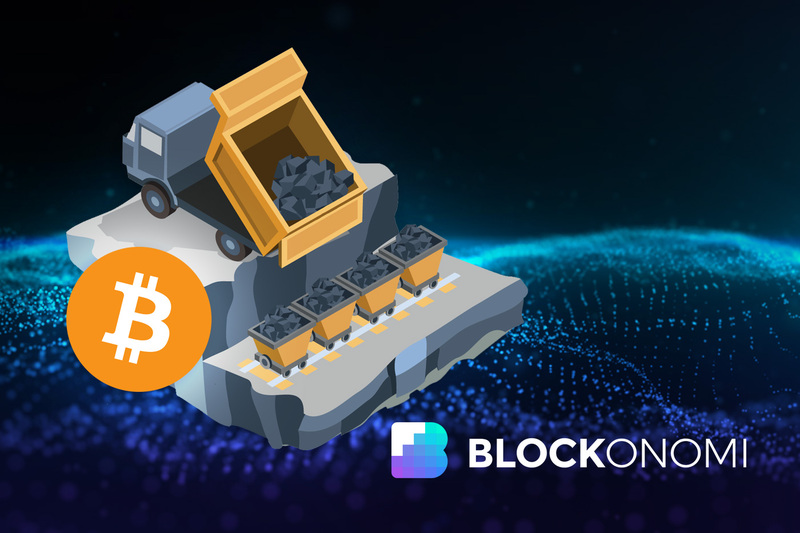 The miner that wins the block subsequently broadcasts the block to its peer nodes who propagate the block across the network for confirmation among the nodes. Once the block is confirmed, the round restarts and transactions are included into candidate blocks by miners until one finds the nonce value. The higher up the blockchain (block height), the more unlikely it is to change a block below the current height. The general assumption is that it is computationally infeasible to modify a block in Bitcoin after 6 block confirmations on top of that block. Miners invest substantial amounts of capital into hardware equipment to mine Bitcoin, and their rewards for doing so are directly in Bitcoin. The game theoretics of the system are designed so that attempting to attack the network is unsustainably costly. Hacking the Bitcoin network would require implementing a 51 percent attack, where a malicious entity would retain 51 percent or more of the network’s hash power and could arbitrarily validate invalid transactions or double spend. However, the odds of sustaining a 51 percent are extremely low, and the net result is not worth the costs. According to GoBitcoin.io, the hardware costs alone of conducting a 51 percent attack on Bitcoin are currently more than $8 billion, at the cheapest rate. Bitcoin’s PoW mining is also highly sustainable and robust, as demonstrated by its nearly decade-long dominance among cryptocurrencies. However, PoW is only sovereign-proof when there are sufficient miners and hash power contributing to the network. Many upstart altcoins using PoW simply cannot match Bitcoin’s established network effects that drive its increasingly powerful network hash power. Read: Bitcoin Mining, Is it Worth it? The Lightning Network (LN) is Bitcoin’s layer two, off-chain scaling solution. It is built on top of the core protocol and consists of a mesh network of bidirectional payment channels. The term off-chain is used because transactions are not processed directly on-chain which needed to be included in blocks and verified by miners in the network at a pace of 5 – 6 TPS. The LN leverages Bitcoin’s smart contract functionality through hash time-locked contracts to achieve a decentralized, scalable payments network. Payment channels are open and closed between two parties by publishing an on-chain transaction. However, once a channel is open between two participants, they can complete as many transactions as they want between each other privately off-chain as long as the initial deposit they opened the channel with does not run out. Developments within the LN include atomic swaps and submarine swaps between Bitcoin’s on-chain clients and LN clients. All LN clients are Bitcoin clients, but not all Bitcoin clients have LN functionality. The LN is currently live and rapidly gaining traction. Bitcoin’s LN is looking to be the solution to Bitcoin’s scalability problem and provide the infrastructure for micropayments and merchant processing of the original cryptocurrency. As a result, the on-chain transaction layer of Bitcoin may function as a low fee and efficient medium for high-value transfers with unparalleled finality compared to legacy payment rails. Lightning Labs is one of the leading innovators in LN technology along with several other companies and following their updates and blog is an excellent way of staying up to date on LN developments. Governance has emerged as one of the most intriguing concepts within cryptocurrencies, notably Bitcoin. As a decentralized network, governance is a challenging proposition and one which presents an unprecedented task. Bitcoin has historically taken a conservative approach to change with lead developers and the broader community showing a commitment to reliability and security first. The core Bitcoin developers exercise substantial control over the protocol and the future direction of the network. They are the primary keepers of the core protocol code, and many of them have been working on Bitcoin for years. Moreover, developers/innovators such as Gregory Maxwell and Adam Back have contributed to prominent and sophisticated cryptographic enhancements for the network and the larger cryptocurrency space as a whole. Decisions on logistical dynamics such as the timing of upgrades to the core protocol are mainly in control of the core developers. Such authority has also come with criticisms, however. Many developers and users view the power of the core developers as too influential. Despite the objections, the core developers’ persistence of a conservative approach to change has permeated throughout the community and created an obscure but effective form of Taleb’s minority rule. The incentives for core developers in governance is to maintain a healthy and secure Bitcoin network. Many of them likely have a substantial stake in the protocol, and the position is a preeminent role in the larger cryptocurrency developer community. Most importantly, Bitcoin core devs show a penchant for parallel ideological values to the most vocal Bitcoin proponents focusing on privacy, security, and censorship-resistance. Bitcoin developers have also pushed for reduced occurrences of hard forks, which should be minimized due to their tendency to increase the social attack surface of blockchains. Community developers (i.e., not core devs) can propose protocol improvements, actively participate in discussion, and even build network enhancements via the Bitcoin Improvement Proposal (BIP) system. Open-source projects are powerful, and the capabilities of a driven community of contributors are unbounded. The Linux Foundation is a testament to the power of open-source technology and Bitcoin’s nearly decade-long existence is emerging as another profound example. Pierre Rochard provides an excellent analysis of the technical components of how improvements are researched, proposed, implemented, deployed, and enforced in Bitcoin. Many users of Bitcoin are intrigued by the concept of the underlying technology and place a strong emphasis on privacy. Other users are in it just for price speculation or for a store of value rivaling gold. Whatever the reason for entering the Bitcoin space, it has really never been better for the user than it is now. For users seeking a reprieve from inflationary government-issued currencies, Bitcoin is a viable alternative as a store of value and medium of exchange, despite its scalability and volatility shortcomings. As a speculative asset, Bitcoin’s price volatility is fantastic but risky. The majority of the core Bitcoin community, however, is likely participating for ideological reasons or pure curiosity, particularly privacy and the notion of a decentralized value system outside of government and other coercive means of control. Users as part of the governance model play the important role of both running nodes in the network (some of them) and acting as the gauge for the direction of the design space which Bitcoin applications build within, on top of the protocol layer. The proliferation of applications, businesses, and payment structures should continue at an accelerated pace. Users are the metric for how the perception of the application layer’s direction is determined. Centralized payment processors — like BitPay — have fallen out of favor with many users while other options — like BTCPay server — are rising. Moreover, desires for further privacy enhancements, preferences for more non-custodial wallet options, better fiat-to-crypto on-ramp options, decentralized exchanges, and improved liquidity have led to the accrual of applications and services that were distant dreams only a few years ago. Users do not have a significant direct effect on protocol upgrades or cryptographic enhancements. However, they indirectly affect such decisions by influencing the business entities and merchants that play a significant role in the broader sentiment of the direction of the network. The primary goals of miners are to secure the network and make a profit. The value from their work increases with rising Bitcoin prices, and they can project future block rewards based on their hash power correlation to the overall network’s hash power. Balancing coordination and incentives is challenging for miners, but it has remained remarkably sustainable so far. Fred Ehrsam provides some in-depth analysis on the aligning of incentives within the Bitcoin ecosystem. Buck Perley compares miners to the judicial system within a federated governance model where miners decide whether or not to adopt new protocol upgrades. Miners can refuse to adhere to new protocol upgrades proposed by developers and remain on the chain that does not implement them. Conversely, their adoption of protocol enhancements — through running the new node software — signals consensus among the miners and developers on new features. Bitcoin’s game theoretic design dictates that it is in the best interest of all participants in the network (miners, developers, users) to maintain trust in the system. However, some incentives are misaligned such as miners wanting to increase future transaction fees to increase profit while users wish to lower fees. Bitcoin has remained reliable for a decade because of its ability to balance incentives and reduce the effect of asymmetries. The mining industry is still young, however. Whether or not more competition will emerge or the market will trend towards centralization is yet to be seen. Bitcoin is a deflationary medium of value exchange that is viewed through several different lenses. The amount of BTC issued per block mined is cut by 50 percent every 4 years and is referred to as “halving.” This will continue until the year 2140 when Bitcoin reaches its total fixed supply of 21 million. The current block reward is 12.5 BTC, and the circulating supply is currently around 17,393,600. The issuance of bitcoins through a PoW mining mechanism solves one of the most fundamental problems of issuing new currencies. Mining relies on an open and competitive market of miners to mint the coin rather than printing the money out of thin air, which leads to inflation. Fostering adoption of a new currency is difficult, but when you create a competitive market for its issuance, then participants are incentivized to participate in the issuance process and the price approaches equilibrium much more naturally than centralized control models. Bitcoin’s economic and decentralized design largely follows the Austrian School of Economics thought. This is in contrast to the Keynesian economics and fractional-reserve banking system of most modern economies. Bitcoin’s economic design is novel because it exists outside of the financial system. It is as truly “free” money but also still a sort of advanced social experiment. Bitcoin has remained remarkably robust throughout its lifetime, but the coming years should shed more light on how effective its economical design is as it continues to evolve and garner more widespread adoption. The debate between these two camps stems primarily from the protocol level and whether or not the future of Bitcoin’s on-chain processing capacity should be built around a P2P digital cash network with larger blocks or a high-value settlement layer akin to a flexible, digital gold. Proponents of Bitcoin’s on-chain layer as a settlement layer view it as an uninflatable, censorship-resistant, secure, and decentralized medium of high-value exchange. Finality in settlements of transactions is much quicker than traditional mediums, and the low fees make the process extremely efficient. Moreover, proponents of this ideology view the LN as the necessary scaling solution for using Bitcoin as P2P payments network instead of on-chain scaling. Integrating more nuanced technical enhancements such as Schnorr signatures for aggregated multisigs and SegWit for effective scaling are also the position of this camp. Conversely, supporters of Bitcoin as P2P digital cash via on-chain scaling are primarily the Bitcoin Cash community. However, Bitcoin Cash recently just hard forked into Bitcoin ABC and Bitcoin SV, and the consequences of this split have not been realized yet. Microtransactions are a vital part of Internet commerce, and supporters of Bitcoin as a P2P digital cash view this as Satoshi’s true vision. However, scaling on-chain comes with many trade-offs that are hard to rationalize in the long-term. Bitcoin Cash has fallen behind Bitcoin largely for this reason. The current sentiment of Bitcoin as a high-value settlement layer and long-term store of value is the dominant view in the broader community. Analyses by Hasufly/Nic Carter and Murad Mahmudov/Adam Tache cover the topic of changing narratives in Bitcoin extensively and are excellent for further understanding how Bitcoin’s perception has evolved over the years. Bitcoin’s community has grown substantially since its cypherpunk beginnings and blossomed into an open-source society of innovative thought, technical development, and creativity. Polarizing topics and tribalism are prevalent in the community, however. Despite this, the larger goal for Bitcoin — no matter what narrative you believe — is a binding ideology that many share. When you strip down the arguments over technical implementations, soft forks, hard forks, and other issues, the values that many core community members share are the same. Primarily, these values are privacy, censorship-resistance, and the belief in sound money free from coercive control. Szabo explains that Bitcoin’s technical shortcomings were a brilliant trade-off with something more valuable, the social scalability of a public and decentralized medium of value exchange. Such a system removes the inherent need of people to implicitly trust third parties, which he also defines as security holes. Trust-minimization of Bitcoin and the ability of participants to benefit from its existence without being adversely affected by coercion, in a system they don’t need to understand why or how it works, is an enormous feat. Bitcoin’s ability to confer this opportunity to participants and exist as a socially scalable foundation for value exchange is a binding principle within the community that assuredly has contributed to its growth over the years. Read: What is Social Scalability and How Does It Apply to Cryptocurrencies? Bitcoin has the strongest and most established network effects out of any cryptocurrency community. There are nearly 1 million subscribers on the main Bitcoin subreddit, and a University of Cambridge study placed the number of active cryptocurrency users worldwide between 2.9 and 5.8 million, with Bitcoin accounting for the vast majority. Topics are often polarizing within the Bitcoin community, and while it is often driven by a passion for the underlying movement, it has become toxic in many instances as well. The ongoing feud between the recent Bitcoin Cash hard fork camps — particularly between Roger Ver and Craig Wright — is a recent high-profile example of this toxicity. The Bitcoin community also receives criticism from outside its borders, mainly with mainstream media, gold bugs, certain economists (i.e., Nouriel Rubini), and fervent supporters of the fractional-reserve banking system, such as banks and other financial executives. Mainstream media coverage of Bitcoin, and cryptocurrencies in general, is worse than subpar and tends to only focus on price movements. The media’s influence on public perceptions of technology and thought is profound, so the Bitcoin community’s challenges in overcoming ignorance about the principles the community is striving for are formidable. The global regulatory landscape of cryptocurrencies is diverse and still forming. In the U.S., action and definitive positions by the SEC, IRS, and CFTC have been frustratingly slow, especially for business entities and exchanges in the industry. The SEC has made several comments on cryptocurrencies — particularly ICOs — and their intention to pursue fraudulent or illegal securities. Recently, a landmark case with Airfox and Paragon signaled the potential retroactive evaluation of ICOs. Concerns over ICOs do not involve Bitcoin, however. The SEC has actually made several comments saying that Bitcoin is not a security. Further, several rulings have confirmed with the CFTC that Bitcoin is considered — at least at the federal level — a commodity. Bitcoin ETFs are pending approval by the SEC, and a sizeable portion of media focus has been placed on this development. Bakkt — an upcoming Bitcoin futures contracts platform — recently delayed its launch until January 2019, but the popular opinion is that the platform will attract broad interest from institutional finance with Bitcoin. Considering the amount of technological innovation that has come with Bitcoin, it would be inferior judgment by the U.S. government to inhibit its growth through regulatory restrictions. Many developments in Bitcoin are fostering greater adoption through more friendly user-interfaces, better wallet applications, metrics, and exchange functionality. Hindering their growth through red tape would be detrimental to the wider industry’s growth. However, it is becoming more clear that the regulatory environment will likely let Bitcoin proliferate in the U.S. Distaste for increasing KYC/AML procedures with cryptocurrencies has also led to numerous decentralized exchanges and P2P marketplaces, privacy enhancements at the protocol level, privacy-oriented wallet services like Samourai, and cold storage wallets like Ledger and Trezor. The emphasis on privacy, security, and autonomy from governments will inevitably persist with the core community and are how many of the more novel technologies and solutions come about in Bitcoin. Bitcoin is under constant development and adaptation. The future roadmap has some intriguing and sophisticated concepts that should prove vital to the sustainability of the network and its narrative direction. Following the BIP system is the best way to stay on top of looming upgrades and technical proposals, but it is time-consuming and developer-oriented. Other methods for staying in the loop include following prominent Bitcoin figures on social media, using the Bitcoin subreddits, and digesting content from cryptocurrency news sites like Coindesk. The continued development of Bitcoin’s Lightning Network is one of the major trends to watch closely over the coming months and years, as it could allow Bitcoin to function as a P2P payments system and high-value settlement layer concurrently. Schnorr signatures are also a significant implementation pegged for integration into the protocol in 2019. Schnorr signatures are considered the best cryptographic signature available and have been a primary target of the core developers to add to the protocol for several years. The growth of atomic swaps and submarine swaps are also crucial as they can allow for cross-chain (including LN) functionality between Bitcoin and other blockchains. There are myriad of developments happening within the Bitcoin community, and it is always best to do your own research. 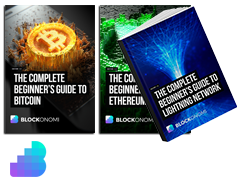 Resources on learning more about Bitcoin are seemingly endless at this point, but here is a list of various types of resources that contain all levels of information. Nakamoto Institute – Everything from Satoshi emails to relevant cryptocurrency literature. From humble 2008 origins and an anonymous founder, Bitcoin has emerged as one of the most innovative technologies in modern times. Bringing with it an entire industry, Bitcoin has spawned a movement towards sound money, enhanced privacy, and censorship-resistance from coercive authorities. Bitcoin has come a long way, and it still has a long way left to go.